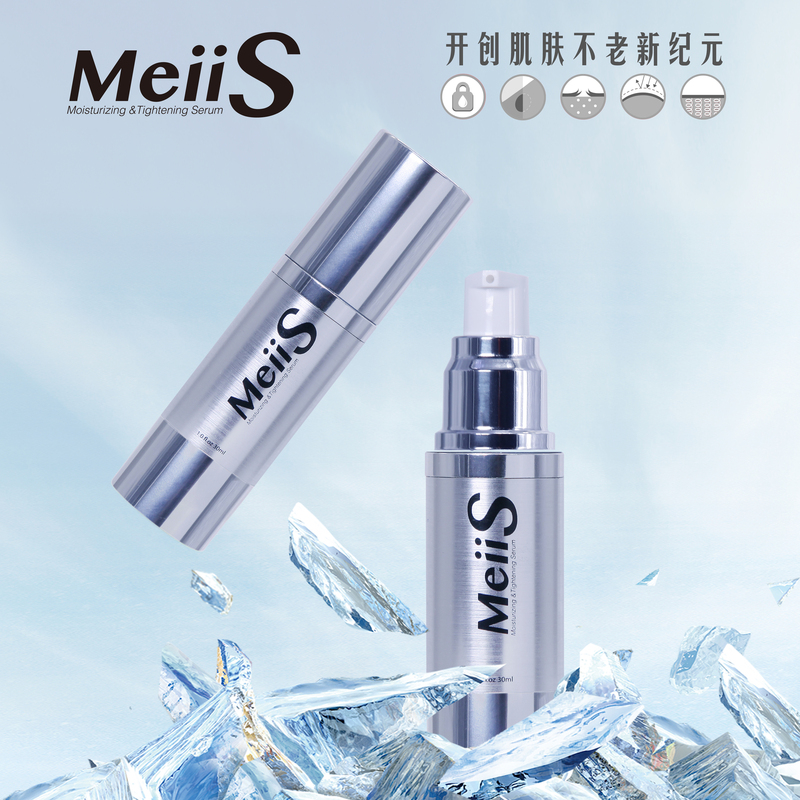 The MeiiS Moisturising & Tightening Serum is an anti-aging face serum that delivers skin-plumping hyaluronic acid directly to your skin to ensure younger-looking appearance. This specially formulated serum is made with a combination of natural extracts and powerful antioxidants. 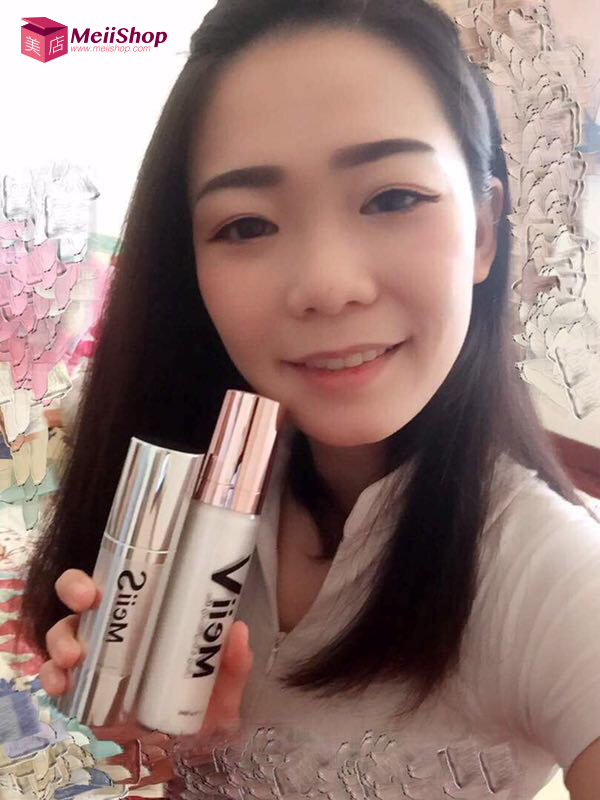 The serum also helps improve ageing skin’s elasticity to promote firm and younger looking skin. The serum can also help improve uneven skin tone by reducing dark spots to brighten overall skin tone. - Intensive nourishment for healthier skin. - Promotes radiance for dull skin. - Promotes skin regeneration and skin elasticity. 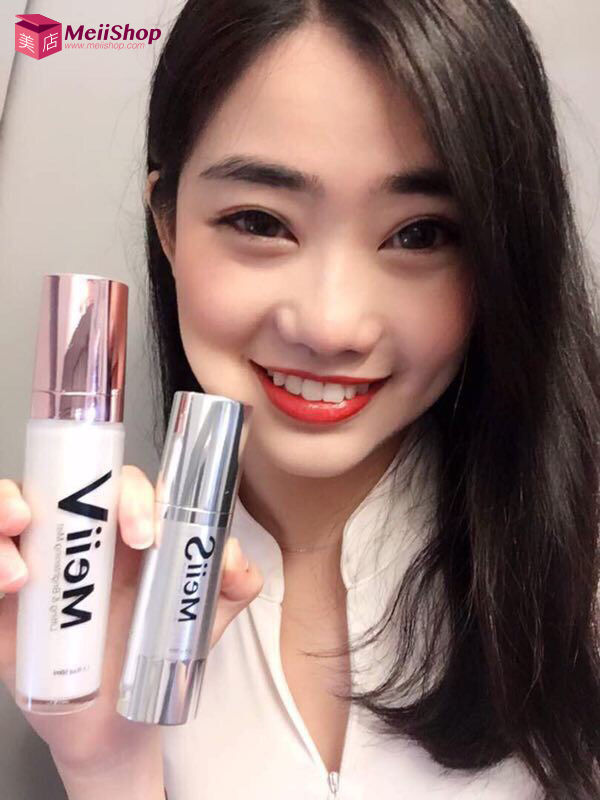 After cleanser and toner, warm a few drops of the Meii S on your palm and massage gently onto your face while avoiding the eye area. 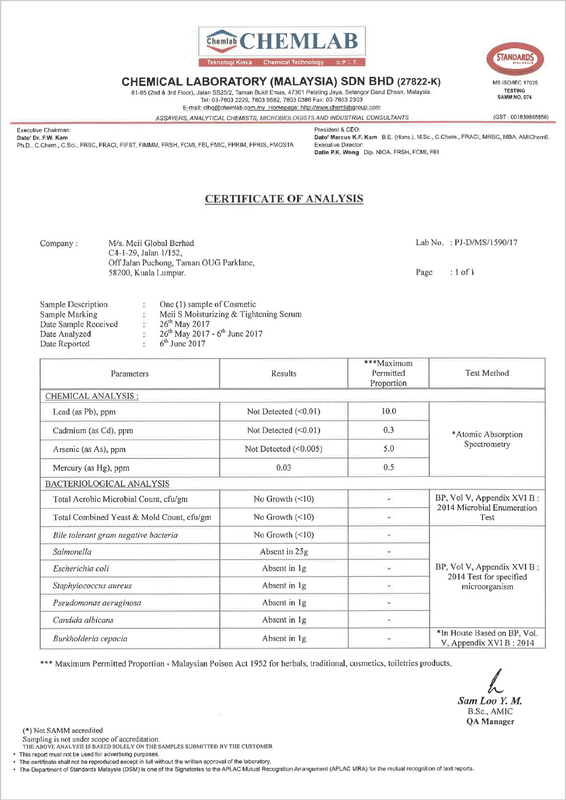 Allantoin, Sodium Hyaluronate, Hyaluronic Acid, Punica Granatum Flower Extract, Niacinamide, Tocopherol Acetate (Vitamin E), Glycyrrhiza Glabra Root Extract, Adenosine Triphosphate. 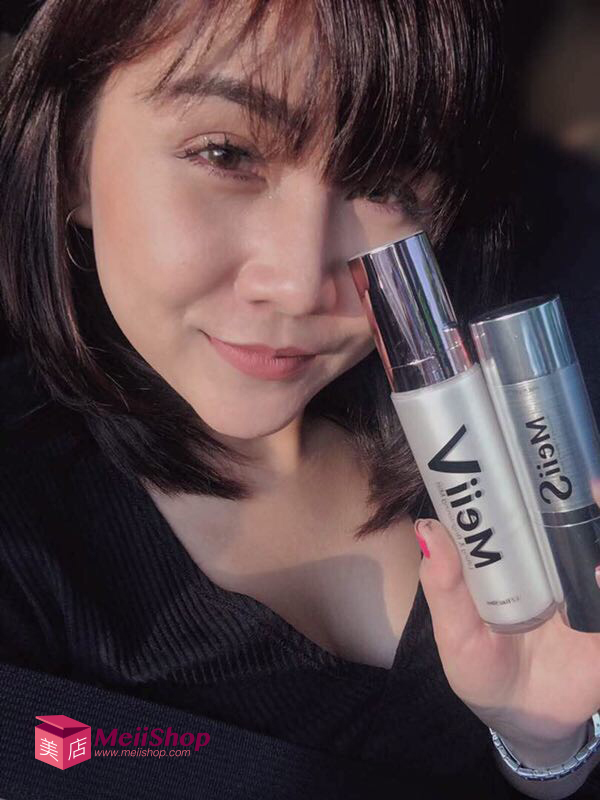 *Results from the use of beauty product above may vary depending upon the individual and will depend on multiple factors, including your age,gender, skin type, and condition, use of the other products used, health, lifestyle, diet and others.